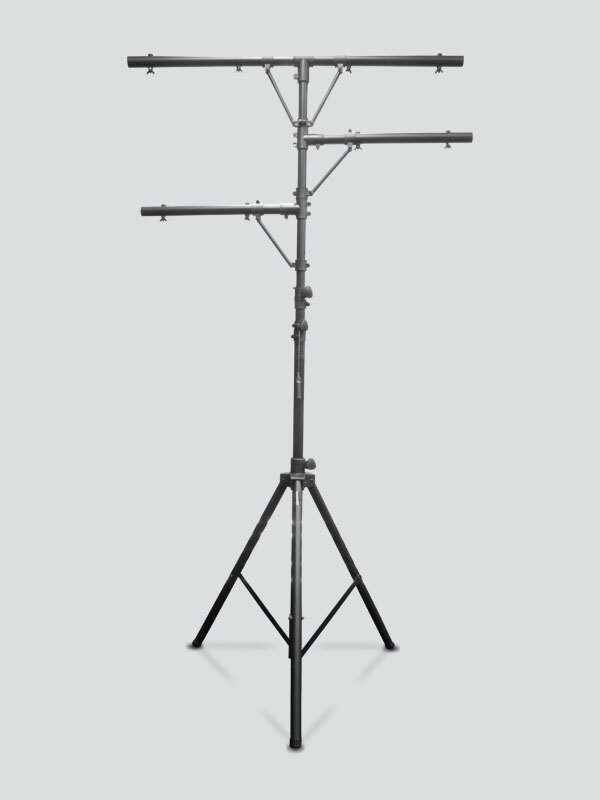 The CH-01 lighting stand features height adjustable half bars, as well as a T-bar for mounting fixtures. Maximum load capacity is 100lbs. The stand includes 8 mounting screws and safety pins. Fully extended, it reaches a height of 9ft.